Pruning trees in the spring require quite a bit more tact and finesse than trimming back on a fresh planting. While new trees need minimal shaping, adolescent plants will show some of their adult characteristics, necessitating some special care. In general, our team from Frank’s Lawn & Tree Service recommend pruning and shaping trees while they remain leafless during the winter. However, if you can manage to prune your tree before their growth begins, this still counts as dormant pruning. This is the best time because of some benefits that we want to outline. Numerous factors enter into the decision on whether or not to prune. Unlike many other landscaping tasks, pruning trees in the spring offer you a relatively wide window of opportunity. 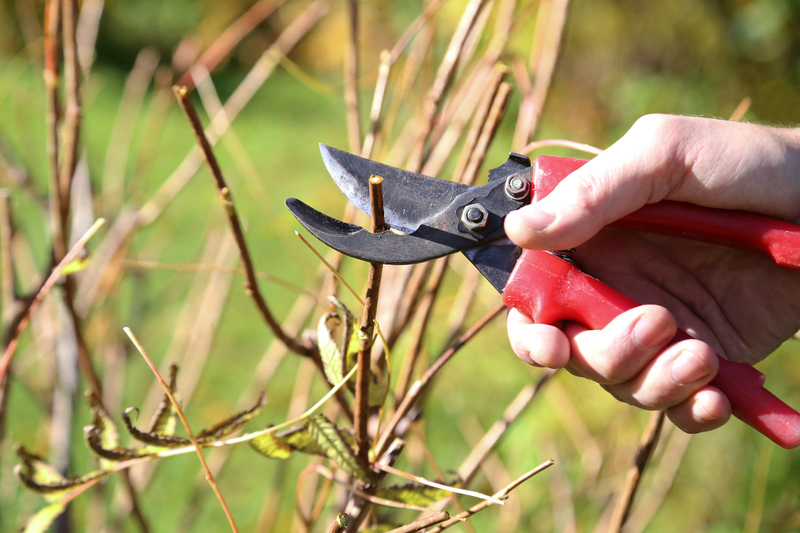 While spring pruning may limit a plant’s bloom potential for the year, you can safely trim during the springtime so long as you follow a steadfast rule. Ensure you do not remove more than 10% of the tree’s branches. An easy way to do this is to prune for aesthetic purposes minimally. Instead, focus on trimming back for safety. This means removing any dead, dying, or decaying branches. As a result, you will keep your home safe and assure any visitors remain secure during a visit to the premises. Nonetheless, you can still cut back and remove some branches to help your tree look its best. Furthermore, consider that pruning trees in the spring may additionally invite insect infestation and disease. Once your trees start budding and blooming during the spring season, double-check that your alterations won’t place this greenery in harm’s way. Always monitor fresh cuts for some time after pruning. This can help you analyze and determine the presence of any unwanted pests or disease as a result of your springtime adaptations. It remains important to stay safe during any tree pruning. Simply take your time, and outline a plan of action before making your first cut. Better yet, you can always enlist a team of expert arborists to take care of your pruning needs. This way, you need not to wield any concern regarding which plants should or should not be pruned during a particular season. Frank’s Lawn & Tree Service provides a wide variety of landscaping services with a committed team of arborists that remain available throughout the year. We frequently analyze the landscapes of a wide variety of clients to determine their precise needs. These services extend to and include pruning trees in the spring. If you feel unsure if this is a task that you can handle on your own, we provide licensed, expert service with professionalism in any transaction. Don’t enlist your landscape care and tree pruning needs to just any business or individual. Enlist an expert professional service from Frank’s Lawn & Tree Service to handle the job for you. This enables you to continue on worry-free as we care for your landscape no matter the season. To learn more about pruning trees in the spring, or enlist our arborist experts for your care needs, contact Frank’s Lawn & Tree Service today!